Died: 19th October 1917; age: 33; KiA. Residence: 44, Warwick Road, Ipswich. Relatives Notified & Address: Son of Edwin Frederick & Jane Day, of 44, Warwick Road, Ipswich. 1891 44, Warwick Road, Ipswich. Reginald was 6 years old and living with his parents. Edwin Frederick Day, 32, a Shoe Clicker, born Ipswich. Jane Beatrice Day (nee Frost), 29, born Ipswich. 1901 44, Warwick Road, Ipswich. Reginald was 16 years old, a Grocer’s Assistant. He was living with his parents. Edwin, 42, a Shoe Clicker. 1911 44, Warwick Road, Ipswich. Reginald was 26 years old, a Grocer’s Assistant. He was living with his parents. Edwin, 52, a Boot Clicker. 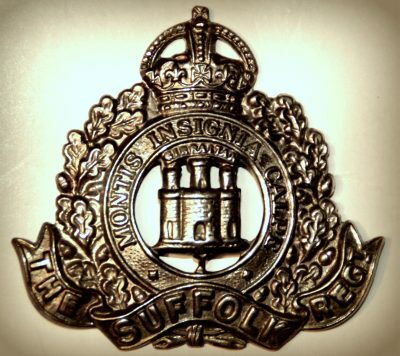 Reginald is also remembered on the war memorial at Christ Church United Reformed Church, Tacket Street, Ipswich – formerly from the Crown Street Congregational Church, Ipswich and at St. Clement’s Congregational Church, Ipswich. 1 Pings/Trackbacks for "REGINALD EDWIN DAY"